Discussion in 'Honor Hub' started by Tamil15, Feb 14, 2019. Question: What's processor used in Honor View20 ? Answer: The Honor View20 comes with World's First 7nm chipset, KIRIN 980 an octa core CPU in a (2x ARM Cortex-A76 @ 2.6GHz, 2x ARM Cortex-A76 @ 1.92 GHz, 4x ARM Cortex-A55 @1.8 GHz) while the GPU is a Mali-G76 MP10. Question: What are all different Storage variants available in Honor View20 ? Answer: Honor View20 comes with 128/256GB of Storage with 6/8GB of RAM. Question: How much storage do we get out of 128GB & 256GB Models ? Answer: You will be getting around 113/128GB & 239/256GB of storage. Question: Does Honor View20 supports Micro SD? Answer: Non Expandable, even with Nano Memory card. Question: Are there any Special editions of Honor View20 ? Answer: Honor has partnered with Italian fashion house Moschino to produce a special edition of the Honor View20. It comes in two special color options and with extra storage The Moschino edition has 8GB of RAM and 256GB storage with colors Phantom Blue and Phantom Red. Question: Wha's the RAM & ROM type in Honor View20 ? Answer: Honor View20 comes with LPDDR4X @ 2133MHz RAM & UFS 2.1 ROM. Question: What's the Android Version on Honor View20? Question: What is Magic UI in Honor View20? Answer: Magic UI comes with some redesigned UI elements and icons, as well as AI capabilities, a new color scheme, Concise Interface with deep learning algorithm but it isn't a drastic difference to EMUI. Question: Does Honor View20 comes with YoYo Assistant? Answer: A Smart Assistant with extraordinary AI visual abilities & more specialized hearing ability but as of now YoYo Assistant available in China only. 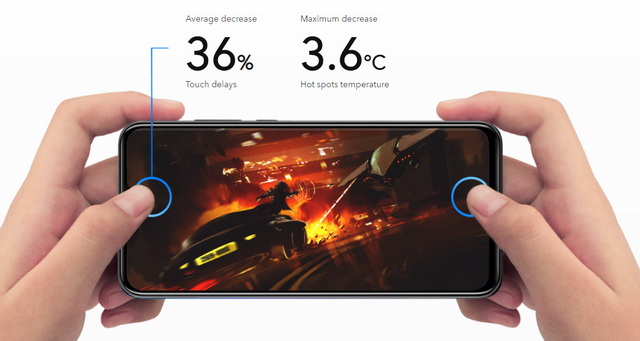 Question: Does Honor View20 has any heating or lagging issues? Answer: It's got plenty of horsepower for anything you want to throw at it - games, media creation, and heavy multitasking. With GPU Turbo 2.0 & Liquid Cooling system keeps the phone running cool enough during long game-play sessions. Question: What's the benefits of GPU Turbo 2.0 ? Answer: GPU Turbo is a hardware-software GPU acceleration technology. it turbocharges your phone's GPU performance without needing to upgrade the physical hardware. Enhance visuals by enabling HDR. 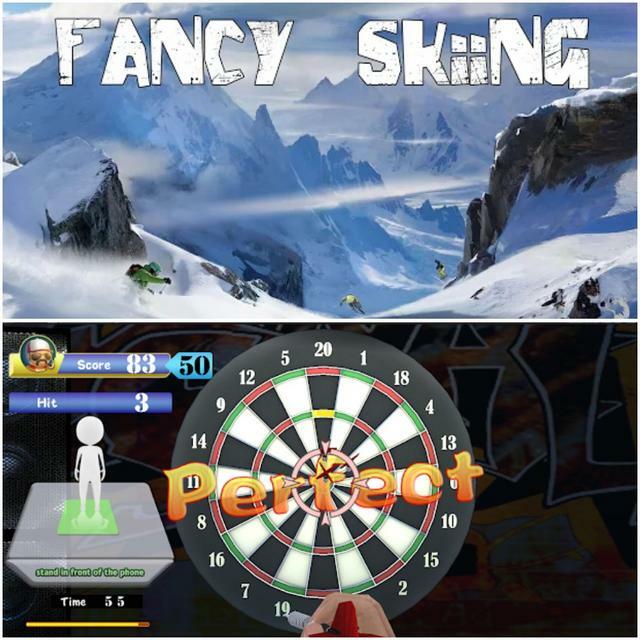 Smoother animations with fantastic graphics. GPU Turbo 2.0 version will provide an average of 36% reduced touch input latency & game control experience. GPU Turbo 2.0 will now have a new game app assistant. This will basically block any upcoming notifications and distractions that might annoy you while playing games. Question: What are all GPU Turbo 2.0 supported & Optimized games ? Answer: PUBG Mobile, Mobile Legends: Bang Bang, NBA 2k18, Rules of Survival, Arena of Valor, Vainglory & Fortnite. Question: Does Honor View20 supports games at 60fps? Question: How can i redeem my Honor View20's Fortnite Guard Outfit? 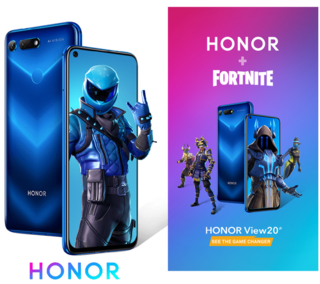 Answer: You can claim your Honor's Fornite Guard Outfit in official Honor Website https://www.hihonor.com/global/even...rd/?fromBanner=home_content_Fortnite/provided providing your Honor View20's device serial number. 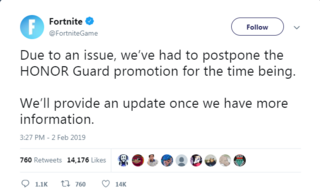 Due to an Issue, Honor Guard Promotion is not available at the moment. Question: Does 3D Motion-controlled games comes pre-installed in Honor View20? Answer: 3D motion-controlled gaming only supports some games. Users may need to download these games independently. Question: What are the requirements for 3D Motion-controlled games? Answer: 3D motion-controlled gaming requires an HONOR Dock and HDMI cable. Items sold separately. Question: How many 3D Motion-controlled games currently supported by Honor View20? 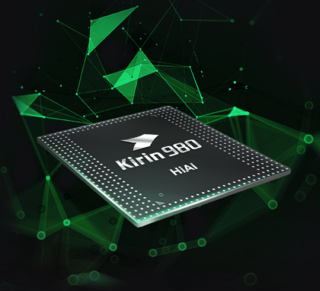 Answer: Power Connected to Intelligence, The Kirin 980 combines the latest technological innovations and AI capabilities to provide users with an impressive mobile performance. Question: What's DUAL-NPU & DUAL-ISP in Honor View20 ? Answer: The Kirin 980 can quickly adapt to AI scenes such as face recognition, object recognition, object detection, image segmentation and intelligent translation. The first chipset equipped with dual NPU, its AI image recognition speed achieves 4,500 images per minute which is an improvement by 120%. Question: What is Triple-Antenna WiFi? 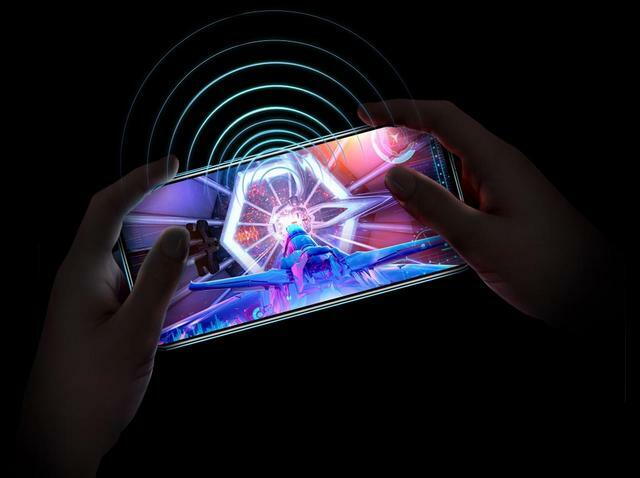 Answer: No matter how you hold your phone when gaming online, the Triple-Antenna Wi-Fi will maintain a strong Wi-Fi signal for a next to lag-free gaming experience. Question: What is Al Dual-Frequency GPS? Answer: 10 times more accurate GPS positioning, AI GPS Satellite Selection Technology and Dual-Frequency GPS allow you to find your destination with tremendous accuracy, especially in urban areas. Question: What is Link Turbo technology ? 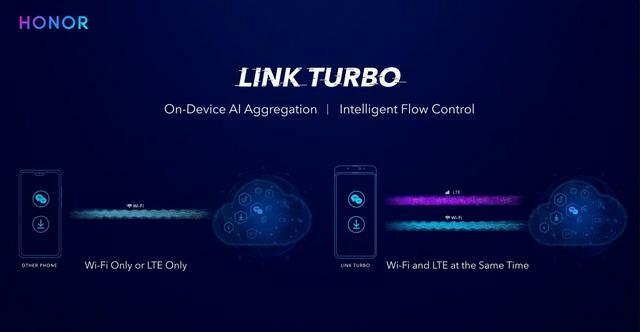 Answer: Link Turbo is combo of Wi-Fi+4G which allows faster download speeds by seamlessly switching between networks. When one signal is bad, the phone will switch to the alternative without interrupting gaming or other activities. The phone can even use Wi-Fi and 4G at the same time to improve the speed. Question: Does Honor View20 comes with Dual speakers? Answer: There’s just a single bottom-facing speaker on the Honor View20. Answer: The device comes with Dual SIM, Dual 4G VoLTE, 1.4Gbps Cat. 21 LTE, Bluetooth 5.0, Dual-band Wi-Fi 802.11 a/b/g/n/ac, A-GPS/GLONASS, NFC, Link Turbo. Answer: AI-Enhanced Calls - HONOR’s AI-enabled mobile communication technology effectively increases the quality of calls within loud and clamorous environments or even in areas with a weak phone signal. The technology also intelligently recognizes if a user has entered or left an elevator, and within three seconds the phone quickly recovers to a 4G signal. Question: Does Honor View20 has "Digital balance" option? Answer: Yes it does and you can track how much time you spend on your phone and which apps you used the most. Question: Does Honor View20 supports screen mirroring or Google Chromecast? Answer: Yes Honor View20 does supports screen mirroring. Question: Is it possible to uninstall or disable pre-installed apps on the handset? Answer: Yes, you can uninstall or disable some pre-installed apps, but not all.